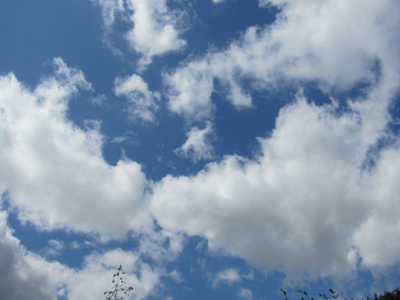 the first real clouds from the west in weeks this weekend … will we really get some rain? our local climate has a lower rainfall than Israel, but no rain for eight weeks, and no real soak for weeks longer than that is a little unusual. spring is early because of the weeks of sunshine, and warm weather in late March and early to middle April. 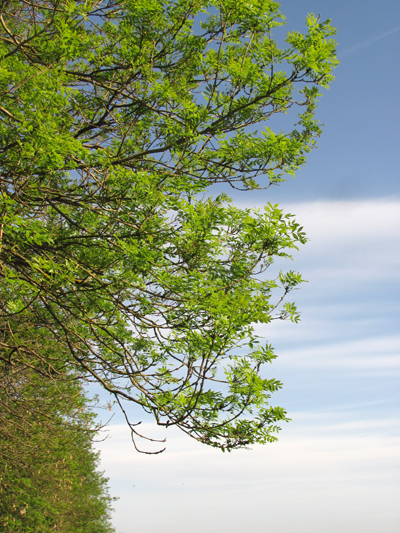 the ash trees have not joined in the general surge and are still only just putting out tender little leaves and fringes of flowers. they say oak before ash – in for a splash .. well we haven’t even had a splash. 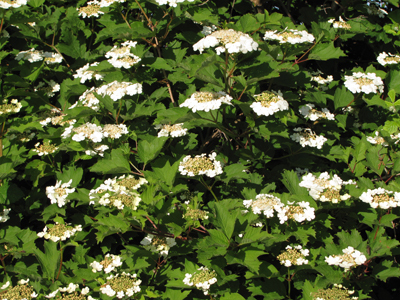 everything is in flower – this guelder rose in the hedge is magnificent, covered in creamy saucers. 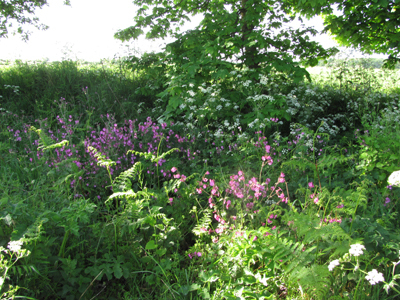 cow parsley and pink campion framing a gap in the woodshore. 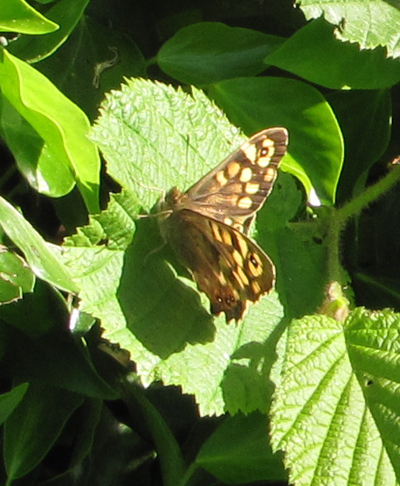 a speckled wood butterfly in Cake’s Lane. the season seems quite promising for butterflies; I have seen quite a few orange tips, one pair attempting to mate in my garden, the wind and a particularly bouncy blade of grass prevented the male from settling though. 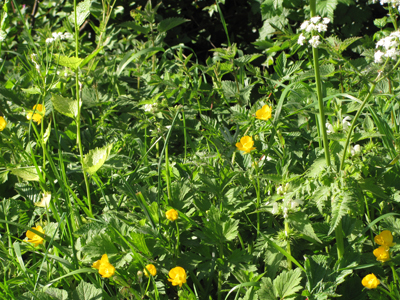 buttercups are flowering already in damp spots. 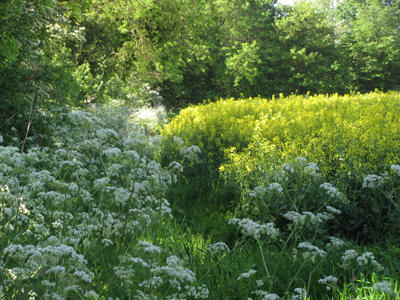 my wildflower garden usually has plenty but it is very free draining so I don’t expect to see buttercups until later. 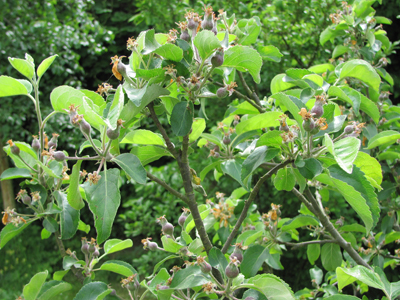 and in my garden a testament to the warm spring – my apple trees are covered in tiny bulbous shapes; it looks like all the blossom has set to fruit. if there is enough water this summer there will be a bumper crop. but no willow warblers this year. they paused on the way through; I heard them singing and calling a few times in late April. 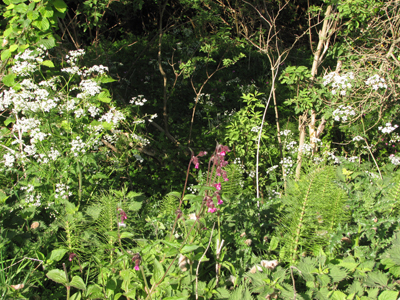 perhaps the paddock and garden were not overgrown enough for good nest sites. I heard one down here on Sunday morning, but in the depths of the wood; maybe it will stay. the black caps you can hear on this clip seem to dominate the soundscape this spring. I’d say it is rather ‘un accenteur mouchet’ but i may be completly wrong. I enjoy very much your photos an comments. anyway, thank you for the compliment, and please keep on looking! I should have considered that having heard the bird live, you couldn’t, Jane, have mistaken yourself. It’s a blunder, une belle gaffe.